Do you want to travel with ease and elegance, getting what you need when you need it? This is the solution for your communication problems when you travel to Spanish-speaking countries! You can access the phrase you need by using a table of contents that will lead you to the topic you are looking for. Finally! 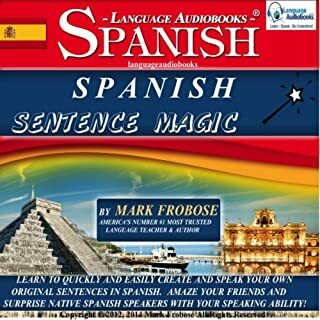 An audio language program that quickly and easily teaches you to speak and understand the practical Spanish you need to successfully travel and eat out with ease. 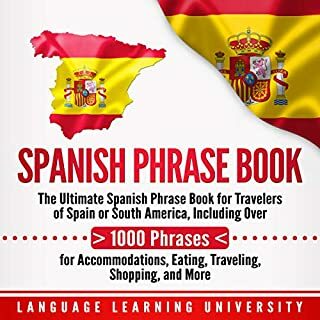 Within minutes, Spanish for Travel and Eating Out will quickly teach you how to identify and order a variety of food in any Spanish speaking restaurant, and even express your likes and dislikes to native Spanish speakers. You'll learn to effortlessly go shopping and transact business in Spanish. Ordering food, wine, beer, water, and refreshments is a breeze with this fabulous program. 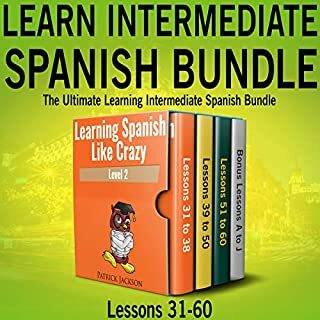 You'll quickly learn to tell people in Spanish what you need, that you're hungry or thirsty, ask for directions, buy tickets, pay the restaurant bill, reserve a table or a hotel room and much, much more! Would you listen to Spanish for Travel and Eating Out again? Why? Of course. The more you listen the better, and more confident, you become. If You Go Hungry, Get Lost, or Can’t Find the Bathroom in a Spanish Speaking Country after Listening to this Travel & Eat Audio Program, It’s Your Own Fault!! From your Passport to your Tacos, it’s all here: airports, hotels, cars, coffee, tea, milk, juice, beer, wine, burritos, and beef. That’s the short list. This is a five and a half hour crash course that teaches you how to eat well, travel smart, drink merrily, and improve your Spanish all at the same time. You learn enough ask directions, and to communicate with waiters and waitresses, cooks and customs agents. The Spanish speakers on the audio say everything slowly enough so that you can understand and repeat. They also say it again at normal talking speed. It doesn’t just teach isolated words. It teaches you how to use those words to make full sentences so that you can understand, speak, and get what you order instead of just point, gesture, and hope for the best. 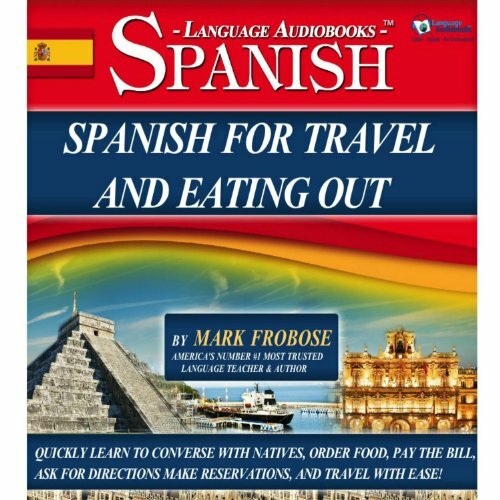 This Spanish for Travel and Eating Out audio program will get you through the airport and to the hotel, beach, and restaurant easier than you will expect. Learning the material on it before you go will help you get a better ‘taste’ of the culture while you are there - literally! Spanish for Travel and Eating out got me ordering Mexican food right away and helped me to understand the difference between “caliente” = stove hot and “Picante” spicy hot with just the first lesson. The periodic retrieval memory technique that Mark Frobose uses in Spanish for Travel and Eating out is nothing short of amazing. Interval memory practice has been proven to be the very best way to remember a language. After all, you can only use what you retain from a language program, and this program has the best memory technique I have ever used. Coupled with great useful vocabulary and cool native speakers along with Frobose explaining it all, this program is a clear winner. 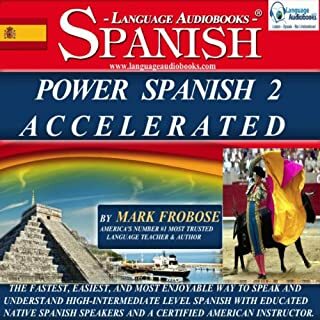 Power Spanish 1 and Power Spanish 2, Mark Frobose states that you use repetition to fail to fluency. 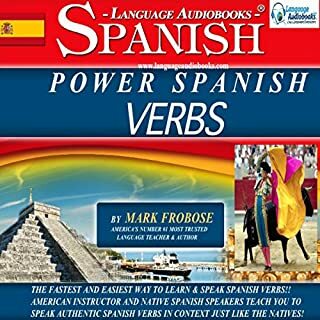 This book focuses on words/phrases introduced in Power Spanish 1 and 2. There is little to no repetition or even explanation for new words and phrases when they are introduced. You also may or may not hear the phrase again after the first time. Would you be willing to try another book from Mark Frobose? Why or why not? Yes. 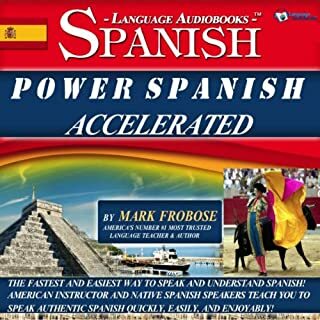 Based off Power Spanish 1 and Power Spanish 2 I would give another book my Mark Frobose a try. What three words best describe Mark Frobose’s performance? Did Spanish for Travel and Eating Out inspire you to do anything? The premise is good, but I need to know more than offered here when I'm in a restaurant. Maddeningly, a small collection of words and phrases (such as "cold water" or "American beer") are repeated over and over again. I know repetition is key to learning, but this was mind-numbing. I got through half of the book--and that was a masochistic achievement. Sorry, but looking elsewhere for something that offers a broader vocabulary. Oh, and the "travel" part? "Airport" and "bus" are mentioned, I think, but little else. How about "turn left" or "straight through three traffic lights"? No, not there.